The Colosseum in Rome is the largest ancient building dedicated to entertainment. The second and third largest Roman amphitheaters in Italy are respectively those of Capua and Verona. The catacombs of Rome are 13 km. long and contain some 40,000 tombs. They lie 7 to 19 meters below the surface and extend for more than 13,000 square metres (140,000 sq. ft.). Like many people in Italy, Giuseppe’s family are Roman Catholics. But they are happy that Giuseppe is a Pathfinder at the Adventist church. “They support me coming here because they know I’m growing up in a healthy way and with a good foundation,” Giuseppe says. Giuseppe tells us more about why he likes to come to the Adventist church in Ragusa, Italy. “I feel at home here—it’s like my second home. It’s like a family and I feel like a person here. Besides this, I’ve learned many things from Pathfinders. The Pathfinders help not just with knowledge; they help to form your morals, help you to grow up, and you come in contact with God." And Giuseppe isn’t afraid to share what he has learned from the Bible with others. One day at school the teacher was telling the students that everything came from evolution. “No, no,” Giuseppe said to the teacher. “It was created.” Then he began to explain from the Bible how life really began. When Giuseppe prays, he often asks, “What can I do God, for You?” He wants to help people and he loves to talk with them about God—at school, at home, on the street or outside somewhere. Giuseppe plans to one day become an agricultural engineer. He enjoys plants, animals, and being outdoors. He also believes that Jesus is coming back soon and he wants to tell others about Him. When Giuseppe first started coming to the Adventist church, he was amazed when he heard the story of Jesus—how He died and rose again for us. “This is a real miracle!” says Giuseppe. 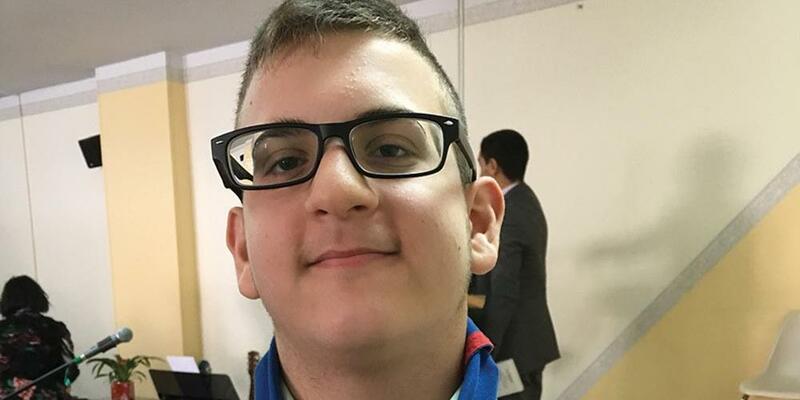 Part of our Thirteenth Sabbath Offering this quarter will help to build a new Adventist church in Ragusa, Italy, where Giuseppe and many other children and young people attend. Please remember to bring your special offering on Thirteenth Sabbath. Thank you!